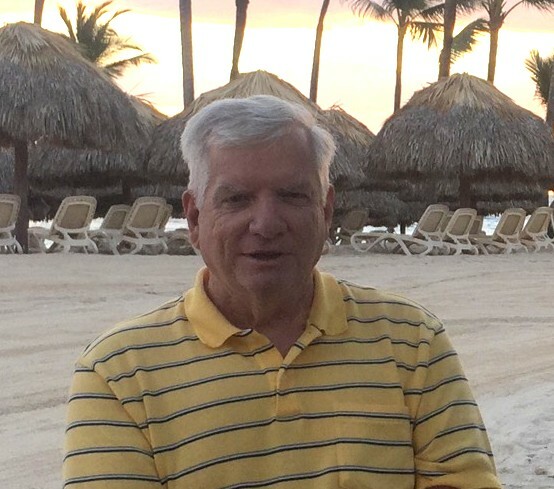 Obituary for Daniel Charles Amann | Ralph Meyer & Deters Funeral Home, Inc.
Daniel Charles Amann, faithful husband of Irene Mary (nee Robinette) Amann. Enthusiastic father of Maggie M. (Tony) Brinck and Debbie M. (Brent Garringer) Amann, both of Cincinnati. Loving grandfather of Luke, Charlie, Tommy, Reese and Jack. Dear brother of Michael (Barb) Amann of Maineville, Ohio and the late James Amann. Preceded in death by his parents, Frank H. and Mary K. (nee Work) Amann. Also survived by his brothers-in-law, Paul (Liz) and Patrick (Jo Ann) Robinette and his nieces and nephews. Saturday, February 2, 2019 after a brief illness due to complications of dementia, age 71. Mass of Christian Burial, Friday, February 15, 10:30 AM at St. Joseph Church, 25 E Harrison Ave, North Bend, OH 45052. Visitation in church one hour prior to Mass with Knights of Columbus Service at 10:10 AM and Words of Remembrance at 10:20 AM. Interment St. Joseph New Cemetery. Memorials may be directed to Roger Bacon High School, 4320 Vine Street, Cincinnati, Ohio 45217 or St. Joseph of the Three Rivers Knights of Columbus Council #11550, c/o St. Joseph Church. Ralph Meyer & Deters Funeral Home (www.rmdfuneralhome.com) serving the family.